LSAT is a fiery and engaging quintet co-led by saxophonists Lauren Sevian and Alexa Tarantino. The two award-winning saxophonists have fused with a dynamic rhythm section that propels their music to new heights. LSAT presents original compositions highlighting the unique combination of baritone and alto saxophone, as well as their own interpretations of favorites from the jazz repertoire. The ensemble has performed at the Xerox Rochester International Jazz Festival, Dizzy’s Club Coca-Cola, and was recently named the winner of the 2018 Made in New York Jazz Competition where they performed with Randy Brecker, John Patitucci, and more. 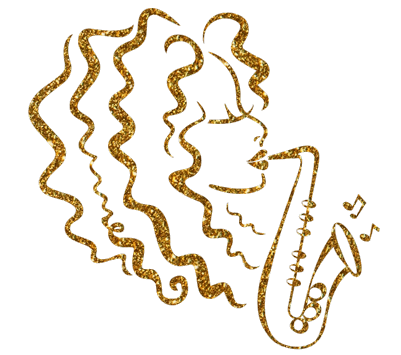 The two saxophonists developed their musical connection while working together in Maurice Hines' Off-Broadway Production "Tappin' Thru Life" featuring the DIVA Jazz Orchestra. Sevian (Mingus Big Band, Lauren Sevian Quartet) and Tarantino (DIVA Jazz Orchestra, Arturo O’Farrill and the Afro-Latin Jazz Orchestra, Alexa Tarantino Quartet) are both active freelance musicians and educators in New York City. Individually, they can be heard at various jazz clubs around the city including the Jazz Standard, Blue Note Jazz Club, Birdland Jazz Club, Dizzy’s Club Coca-Cola, the Jazz Gallery, and more. Both are educators for Jazz at Lincoln Center's Youth Programs and travel across the globe as guest clinicians for various middle/high schools, colleges, jazz festivals, and summer jazz programs. LSAT was recently featured on Lauren Sevian’s debut album Bliss (Posi-Tone Records) with pianist Robert Rodriguez, bassist Christian McBride, and drummer E.J. Strickland.